A Long Island Rail Road train crashed into a car on the tracks Saturday. 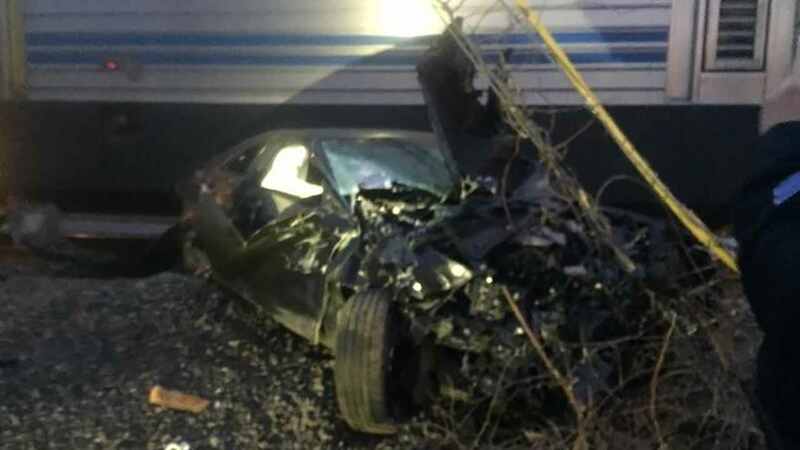 PATCHOGUE, Long Island (WABC) -- No one was reported hurt after a Long Island Rail Road train crashed into a car Saturday. Around 6 a.m., a westbound LIRR train from Speonk to Jamaica Station struck a car that was abandoned on the tracks near the second crossing of the Patchogue/River Avenue Station. The vehicle was empty and no one was injured. The collision caused little disruption to train service. One train was suspended, and a second was slightly delayed. Full LIRR service was restored at 8:40 a.m.